I spent two months in Istanbul and ate a lot. 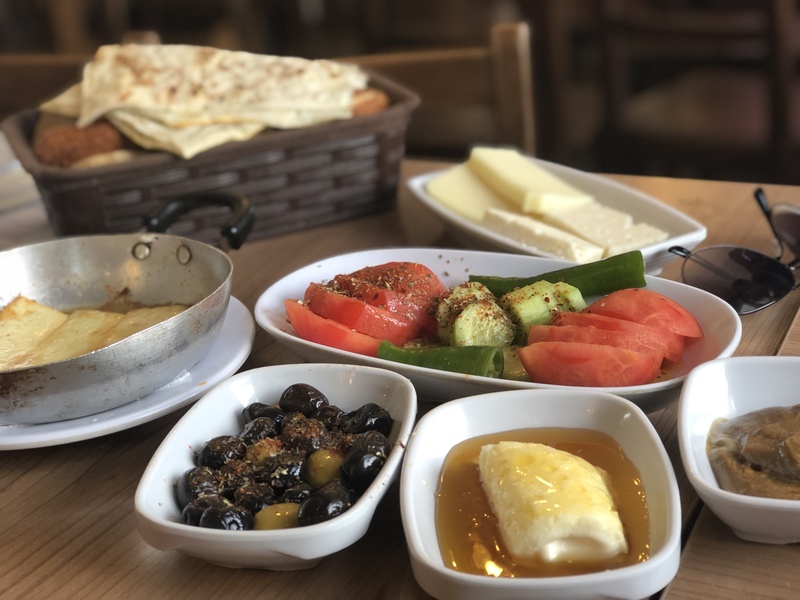 I found that most restaurants in the city are pretty affordable, but these are the best of the best cheap restaurants in Istanbul! 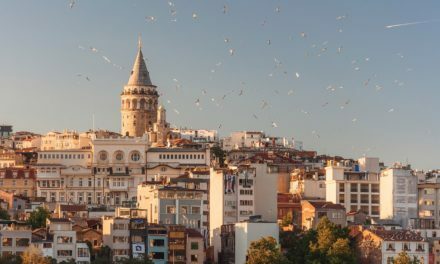 Whether you’re looking for traditional Turkish food or something new, this list has something for everyone (and every budget). This isn’t just the best meal I had in Istanbul, it’s one of the best meals I’ve ever had in my life. 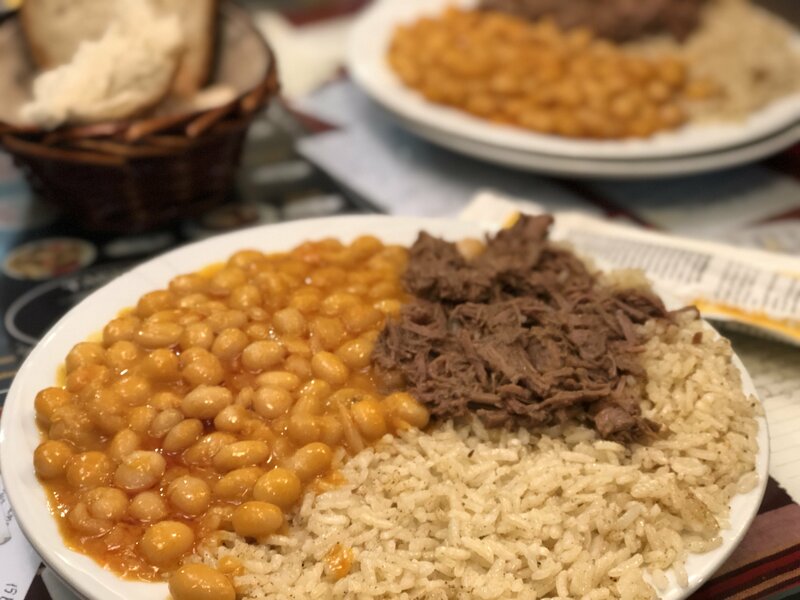 Tarihi Kalkanogly Pilavcisi serves three things: beans, meat, and rice. You can mix and match the three options any way you like, but I recommend getting a plate with all three for 22 lira. The beans are buttery and flavorful and the beef was cooked perfectly every time. Plus, the massive serving means you’ll definitely be full for the rest of the day. My tip: go for lunch or an early dinner. I tried to go around 8 pm twice and both time they were out of food for the night! This isn’t the cheapest Istanbul restaurant on the list but the value is phenomenal. 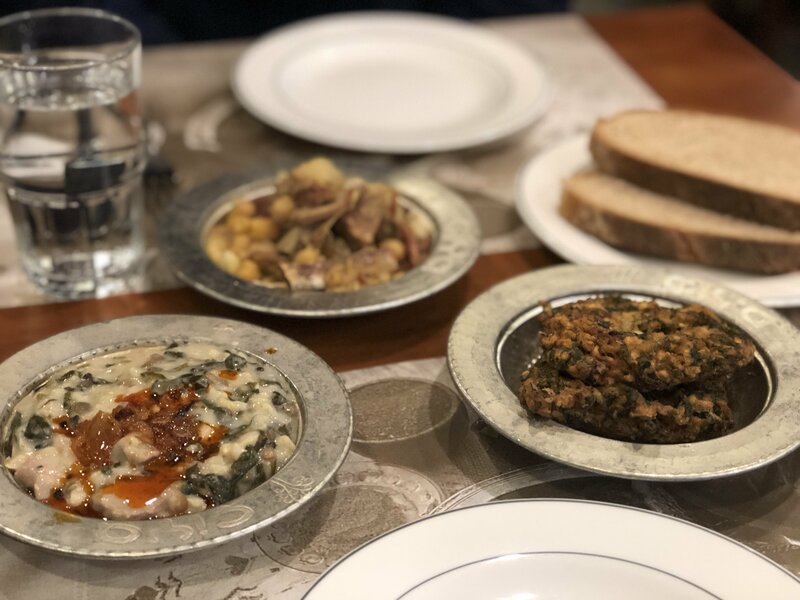 Ciya Sofrasi is a restaurant dedicated to bringing back traditional Turkish foods – the chef was even featured on an episode of Chef’s Table on Netflix! Of course, the food is served the traditional way – with lots of small plates. First, we served ourselves from a small buffet of appetizers that are priced by weight. Then, we chose our main dishes from a second buffet, where a helpful waiter took the time to explain each one to us. Point out what you want, sit down, and they’ll serve them to you with fresh bread. Dan and I split a plate of appetizers and ordered five more small plates to share (I was stuffed afterward!) and our bill with water came to 75 lira / 14 usd total. My tip: visit for dinner so you can also enjoy sunset views of Istanbul on your ferry ride to Kadikoy. 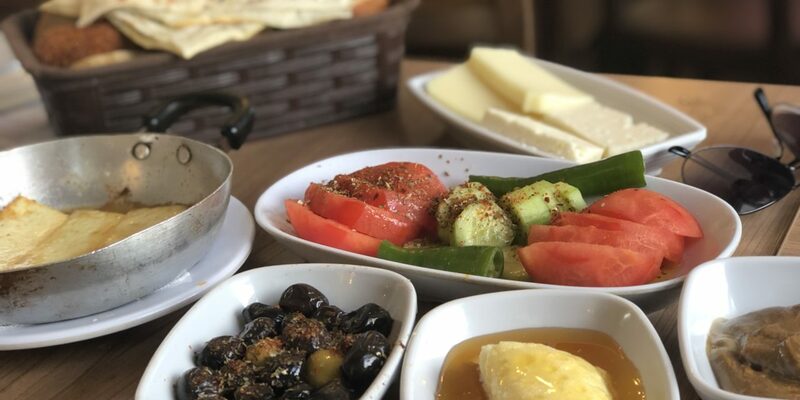 If you haven’t tried a Turkish breakfast yet, you’re in for a treat. These massive spreads are incredibly budget-friendly and incredibly delicious. I tried quite a few, but these two restaurants outshone the rest. Rumeli Kale Cafe is the best, but somewhat inconveniently located in the Bebek neighborhood. 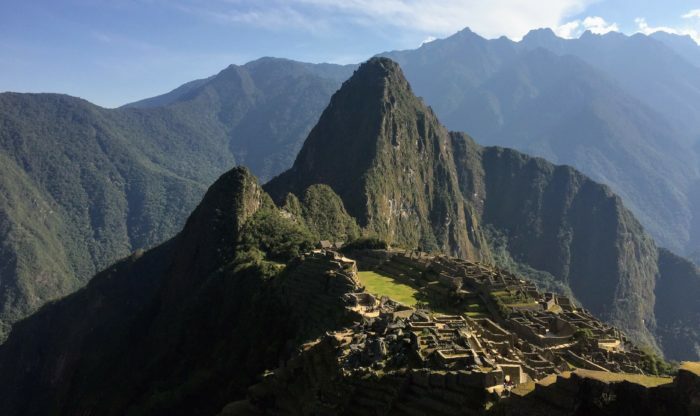 It can be a bit of a trek to get there, but the restaurant is on the waterfront and recommended by Anthony Bourdain. For something more central, I also recommend Van Kahvalti Evi in the Cihangir neighborhood. Both meals come with tons of fresh veggies, unlimited tea, cheese, bread, honey, spreads, and so much more. My tip: order menemen, a traditional Turkish egg dish with veggies, to round out your meal and ensure you won’t need to eat again for at least a week. This is a bit of a hidden gem, recommended by one of my friends who has been living in Istanbul for a few years. Balik Durum sells super cheap fish wraps in Karakoy, a hipster up-and-coming neighborhood on the waterfront. The restaurant is tiny and unpretentious and I could tell the no-nonsense chef has definitely been making fish wraps for longer than I’ve been alive. It’s hot, it’s tasty, and it’s one of the best cheap restaurants in Istanbul to fill up with on a casual night out. Plus, you can save more money for drinks when the wraps are only 15 lira each! When the heavy Turkish dishes become too much, stop in for a light, healthy meal at Ek Biç Ye İç. 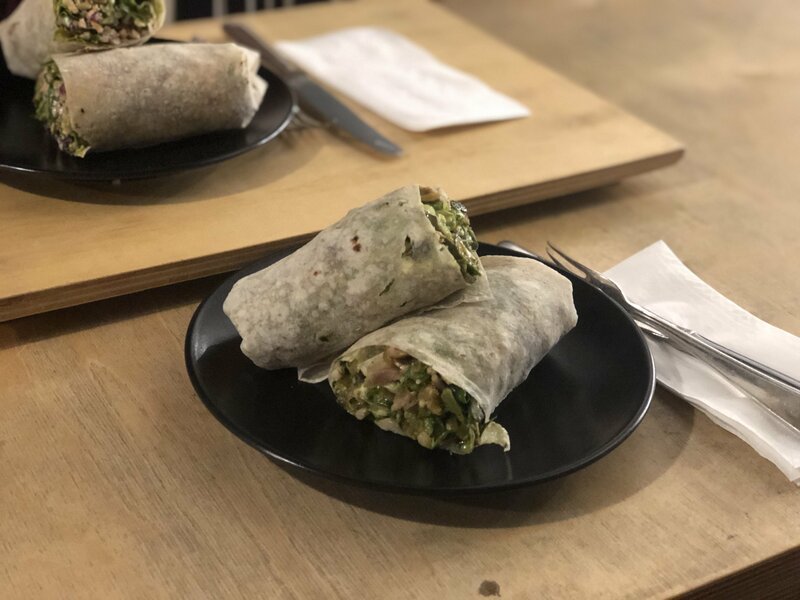 It doesn’t matter that you can’t pronounce the name because the workers speak English and will walk you through the process of building your own wrap or salad with their fresh ingredients. It’s not vegan or even vegetarian, but it’s one of the best cheap restaurants in Istanbul because it’s super sustainable – they even grow their own greens right there along the walls! My favorite wrap creation was cheese, chicken, sunflower seeds, onion, greens, and honey mustard, but you can mix and match so many different combos and my educated guess is that they’re all pretty damn delectable. 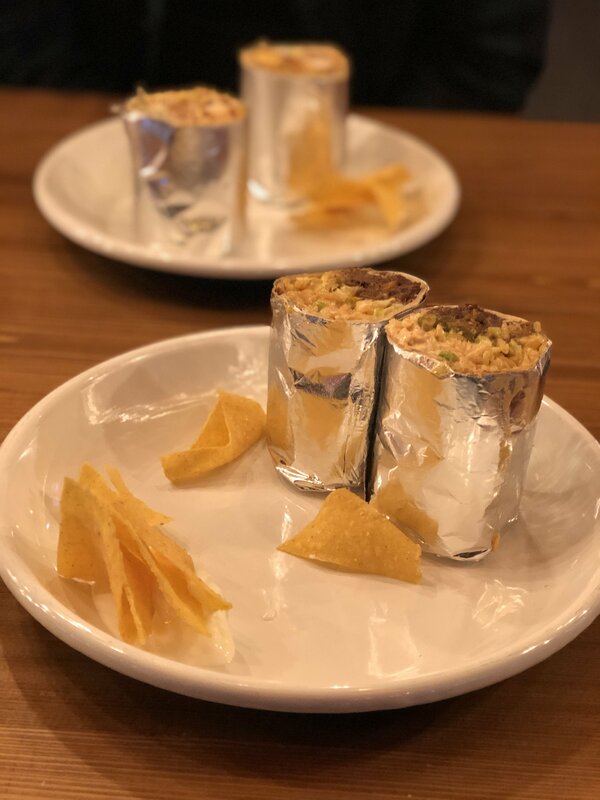 Two months is way too long to go without burritos – luckily, Tacofit was there to satisfy my craving. I’ll just start out by saying it’s not as good as the Tex-Mex you’re used to in the US, but it’ll definitely do in a pinch. They have outdoor seating (with heaters in the winter) and a small menu mostly made up of tacos, nachos, and burritos. Dan got the large chicken burrito for 35 lira and I got the large beef burrito for 38. Both were good, but I have to say the beef is definitely the better choice. I know at least some of you guys out there reading this have a hangover right now, and this cheap Istanbul restaurant is for you. 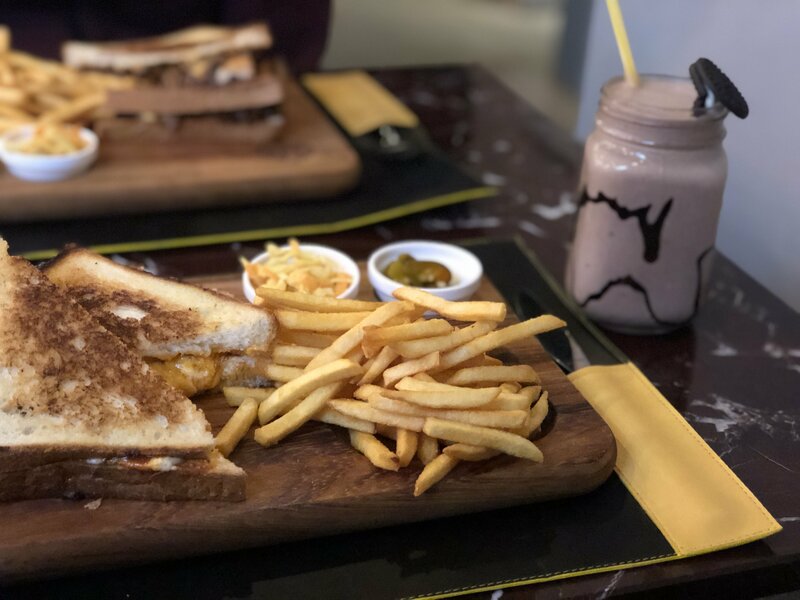 Melt Grilled Cheese Sandwiches is a small, modern place located a bit off the tourist track in the Sisli neighborhood. The menu has grilled cheese with buffalo chicken, grilled cheese with avocado, grilled cheese with mac n’ cheese, I think you get the idea. It’s terrible for your body but good for your soul. I’m actually super picky about grilled cheese ’cause I think it usually has too much cheese, but Melt gets the ratio just right. Plus, they have Nutella oreo milkshakes – I mean, what more could you need in life? I was pleasantly surprised to find good Thai food in Istanbul. 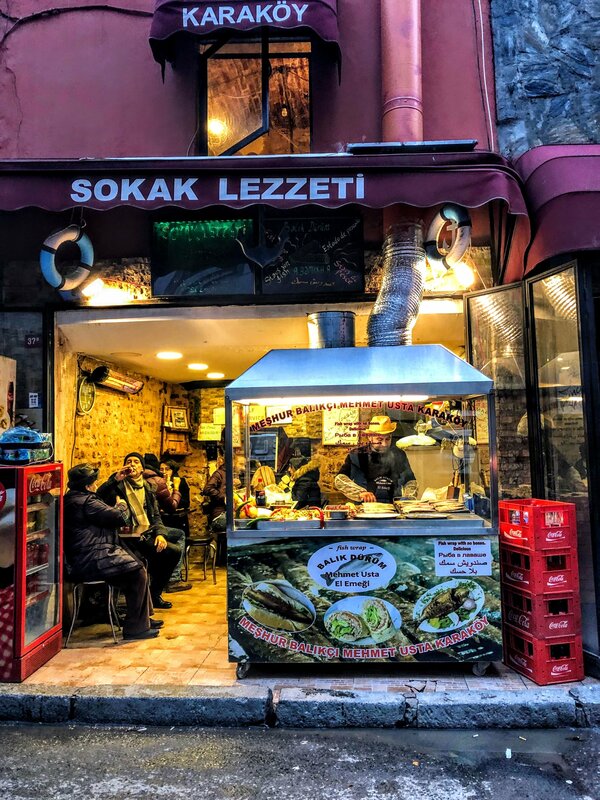 We stayed in Istanbul in the winter (click here to read why I recommend it) so this was the perfect place to pick up takeout for a cozy night in watching Netflix. The red curry, spring rolls, and pad thai were all good and I wish I could have tried more – check out the full menu and I’m sure your mouth will start watering as well. 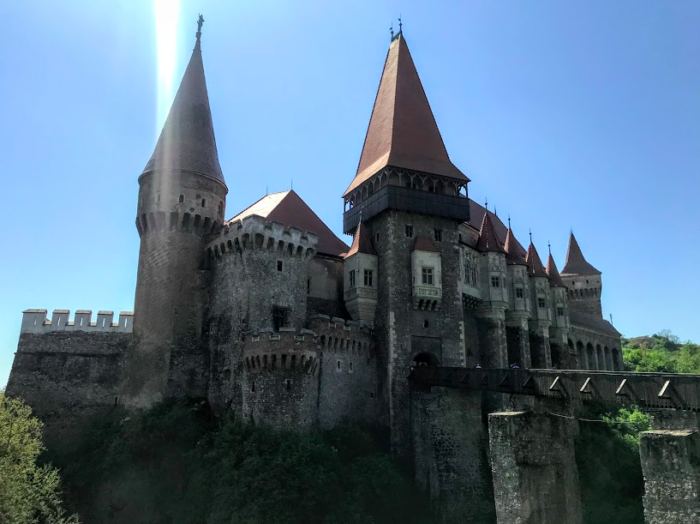 Looking for more Istanbul travel tips? 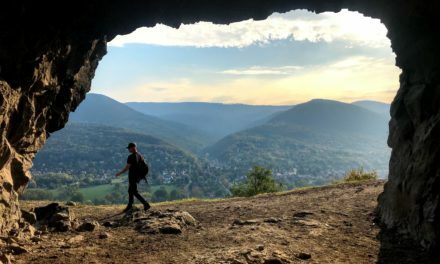 Check out the Turkey Series to read my list of 13 affordable things to do in Istanbul at night, learn how to take a surprisingly cheap day trip to the Prince Islands, and so much more!